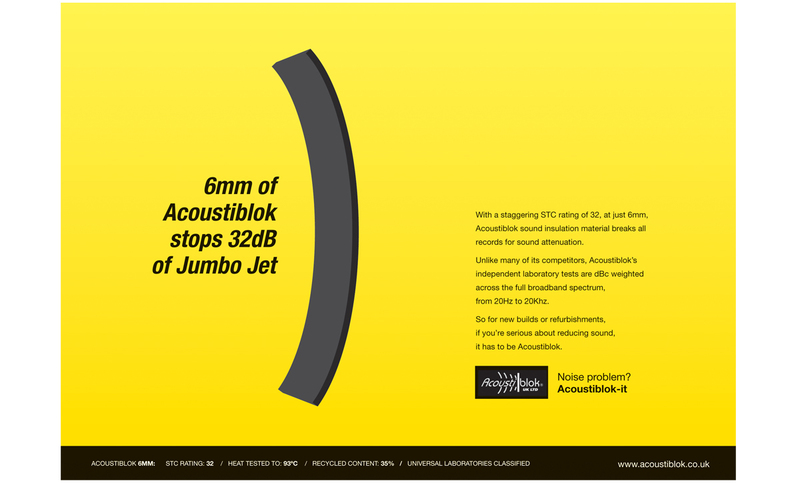 Advertising Acoustiblok's impressive sound attenuation properties to architects. Responsible for: concepts, copywriting and creative direction. 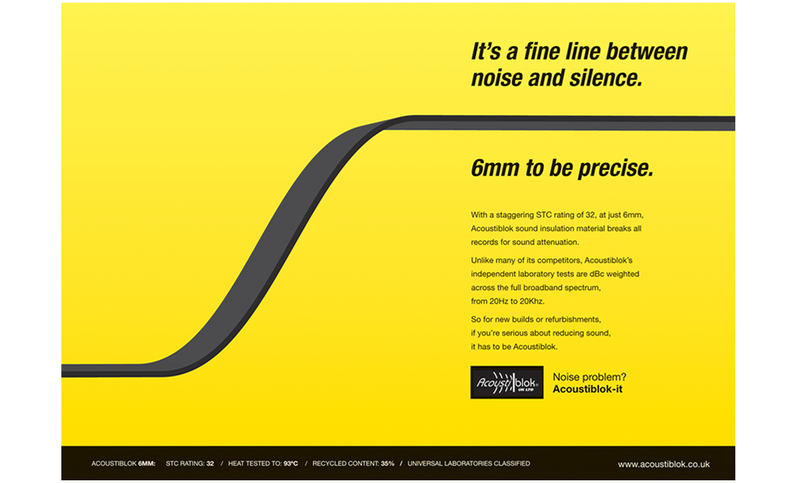 Acoustiblok – Concepts, copywriter and creative director. Sometimes the product’s USP is so impressive that the copywriter and art director’s job is to do as little as possible to stand in its way. 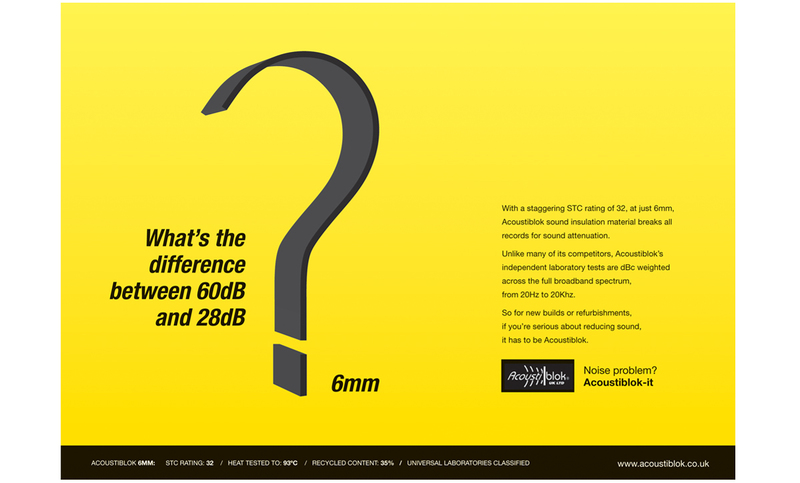 These stripped back ads get straight to the point and create huge standout on the page. Concepts, copywriter and creative director.